Growing up there was nothing that signified Christmas was coming more than Rudolph or Frosty the Snowman hitting the airwaves. What is totally passe and old school to our kids with its clunky claymation, is now nostalgia for me as a parent. 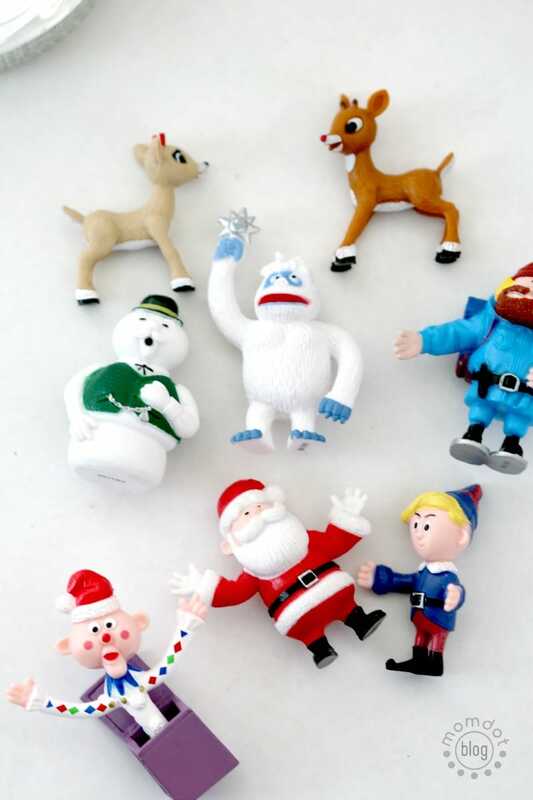 In any case, along with my 25 days of Christmas and ornament making, once I found these freaking ADORABLE little hard plastic characters I scooped them up and just had to create with them. 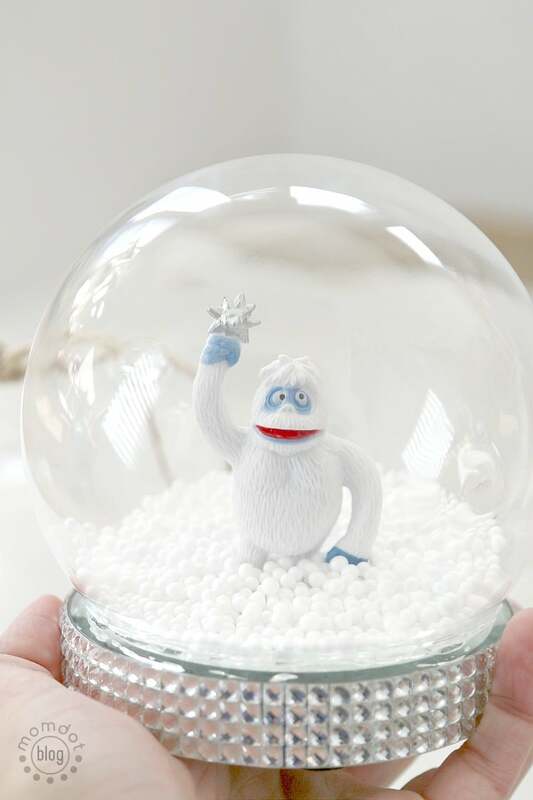 Now you can make this Waterless Terrarium Snowglobe with anything you want, mine is simply an idea, but if you love these characters like I do, you can pick up the whole set on Amazon for only $15. 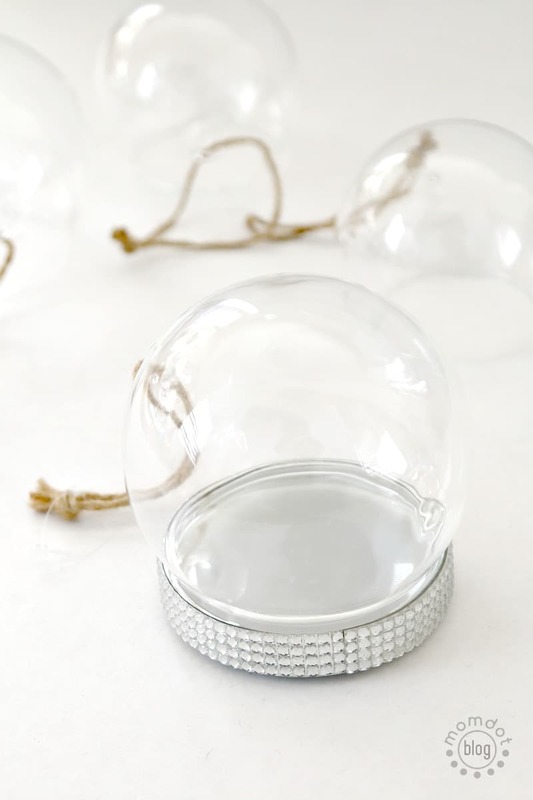 Terrarium Bulbs – First things first. I purchased terrarium bulbs from World Market for this project. 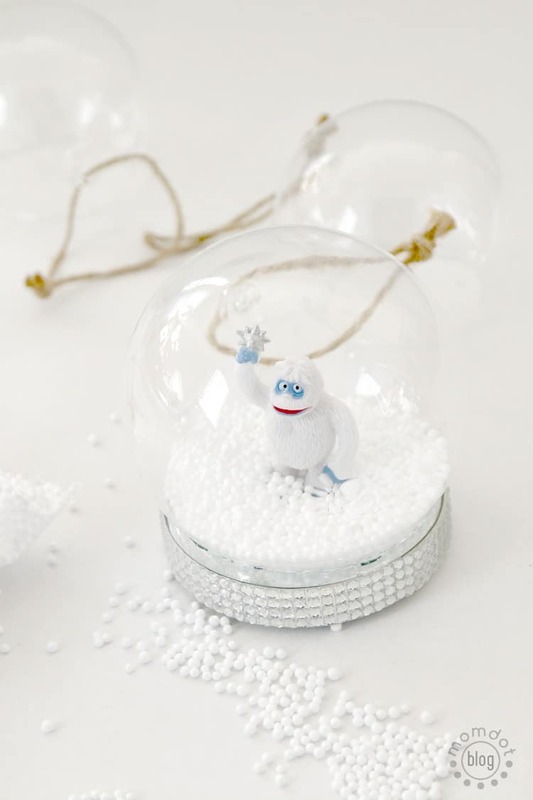 They are so great because the open base allows you to do some really creative things and you can find them year around as they are technically not a Christmas ornament. They are $6.99 at World Market but if you have time to order, you can find another brand that comes in a pack of 3 for a better price on Amazon. It’s so simple~! First hot glue down your characters to the base of the candle holder. Then add your “snow” inside the bulb and trace your glue around the edge. Once done, pick up the base and secure it to the bulb and let dry completely. Done! 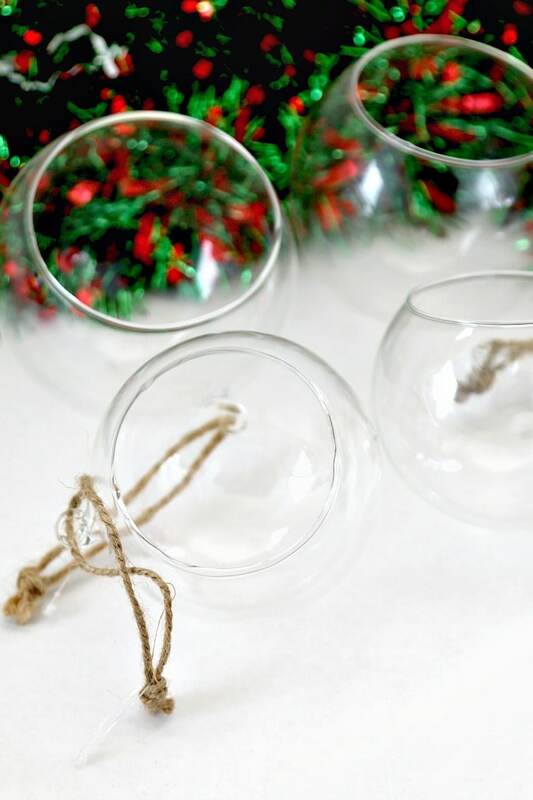 While I personally do this for Christmas Crafting, you can use this trick for ANY time of the year or holiday. Love this project? I keep all my very favorite Christmas projects here on my pinterest board!